We all love Summer and we love it even more when we can get a few days off to enjoy ourselves for that brief little stint of sunshine that we get, if we’re lucky. And what better way to do it than spending the evening kicked back in a nice beer garden with some friends. 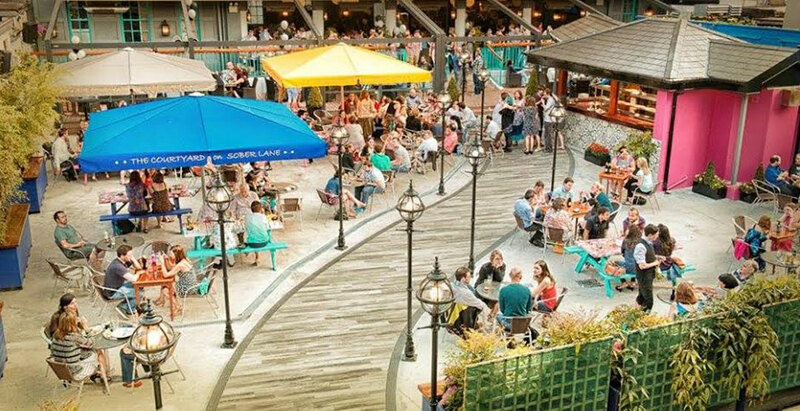 If that’s your idea of a good evening, then here are some of the best beer gardens around. 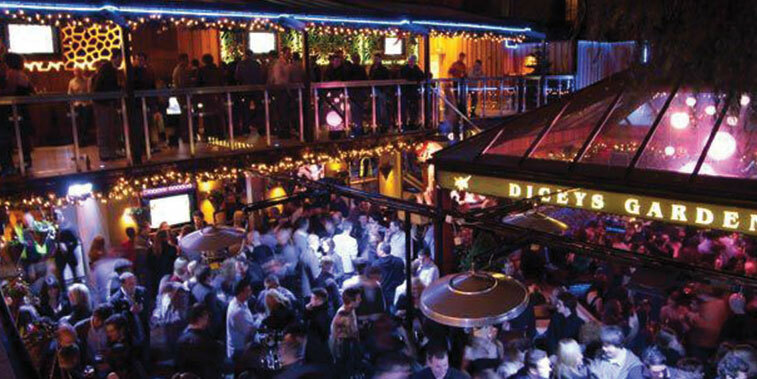 A very popular spot among students and young office workers for their cheap drink offers, Diceys Garden is one of the liveliest haunts in Dublin. With the option of group BBQs and outdoor parties, it’s a great spot for bookings or just walk ins. With a fun atmosphere and some good music, if you’re into late night partying in a nightclub that’s cool to look at, this is the place for you. 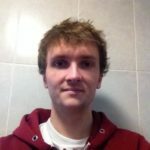 A large outdoor bar and restaurant in Cork with a good atmosphere and good food. If you’re idea of a good time is spending the evening out in the good weather while also being able to watch a match, then this could be the spot for you. The outdoor big screen allows for a pitchside like atmosphere for some of the biggest games of the year. Ask anyone who has been to O’Connell’s and they’ll tell you it’s probably the best bar they’ve ever experienced. Along with an electric atmosphere and attentive staff, the design of the bar is possibly the best bit of it all. With the front of the bar situated off Eyre Square, the beer garden at the back has a brilliant concept. It is designed to mimic what an old time main street would look like, with some of the famous names in alcohol at the door of these ‘shops’. Definitely one to see if you hit up Galway anytime soon. Settled on the edge of the River Shannon, the Locke Bar is a popular destination for locals and tourists alike. 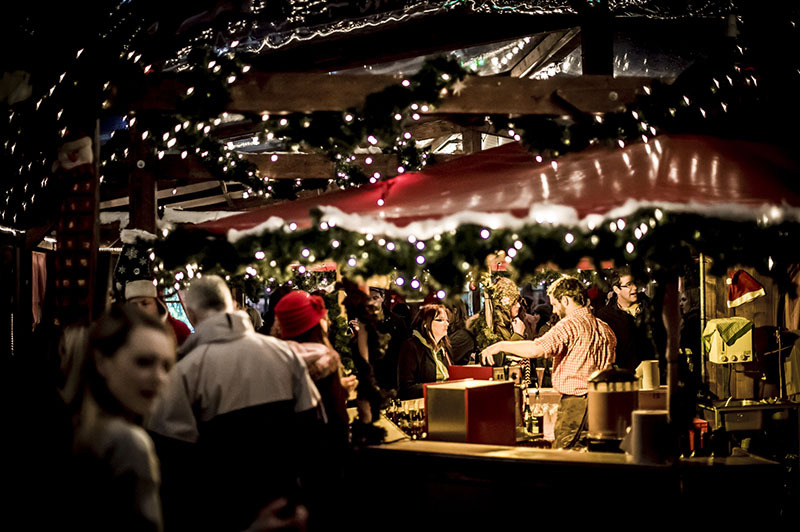 With good honest food and plenty of fun to be had, it’s become one of the favourite bars in Limerick for tour guides. Live music and dance is not a rare occurrence and on a nice day you can enjoy your drink outside at a table overlooking the river. 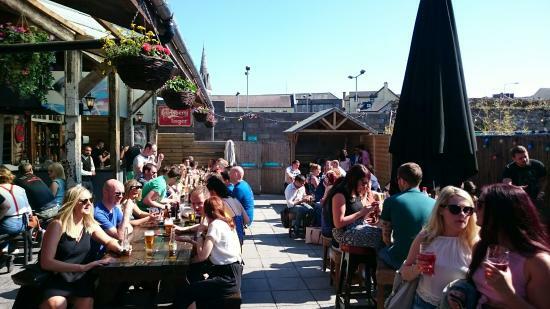 Located in the centre of Cork City, this particular drinking hole is very much a suntrap on a nice day. Once you go in, it can be very hard to leave which is testament to the atmosphere. The beer garden itself which has a sort of woodland cabin feel to it is quite big and on those sunnier days, it can fill up quite quickly due to its popularity. 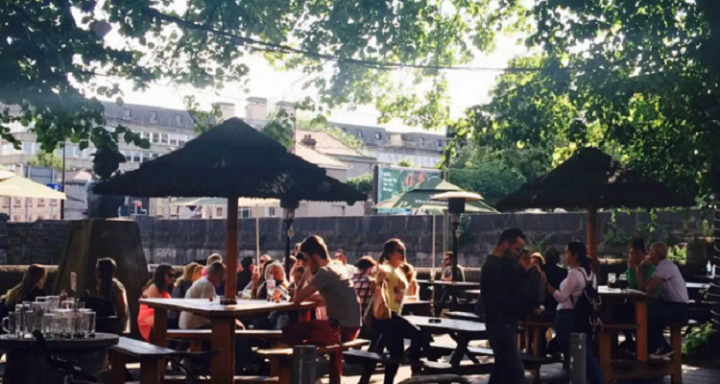 So there we have it, 5 of the best beer gardens from around the country. The only question is which one will you try first!